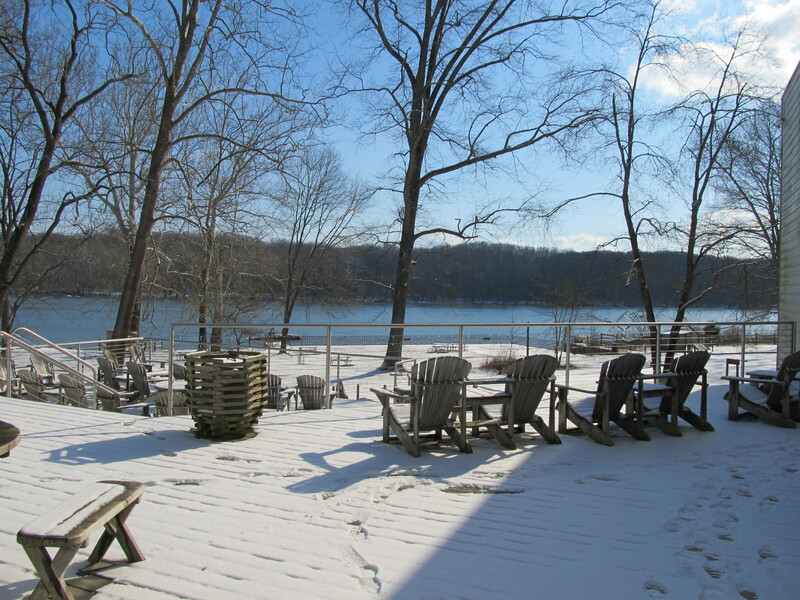 The view from the deck at Riverbend Park is always beautiful, particularly in winter. As much as I detest the snow, I must admit it’s truly beautiful. In the two winters I have worked at Riverbend, I haven’t yet had the privilege of seeing it snow-covered. Today changed that. Riverbend is a natural beauty all its own that shines like a diamond in the rough. However, when the added element of snow is mixed into the equation, it’s truly breathtaking. The sun shimmers off the rippling surface of the gently-flowing river and makes the ground sparkle. I can see the snow reflecting light from the far bank and I feel as though it’s added a depth to a wall of trees. The birds are enjoying the weather as well. They’re frolicking in the snow below the bird feeders while munching away on the provided seed. Backyard birds love bird feeders and will come to one all seasons of the year if it’s kept filled. Try setting up one of your own to see what you can spot. Here are a few pictures of this morning’s visitors. 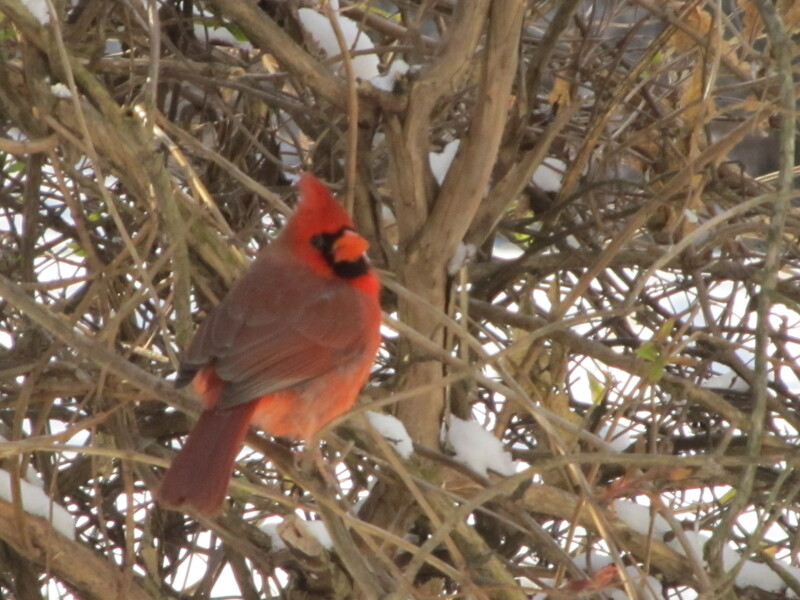 A Northern Cardinal perches near the bird feeders. 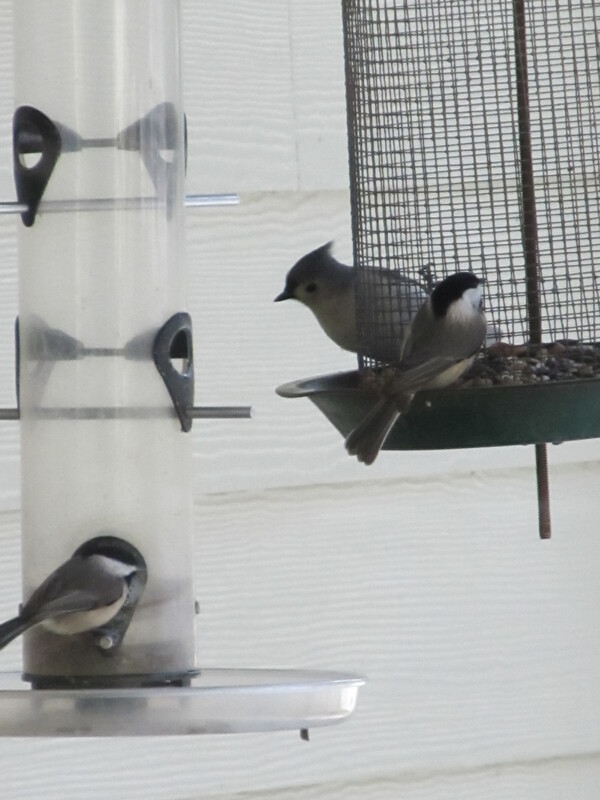 A Tufted Titmouse is joined by two Carolina Chickadees at the feeders. A Black-Eyed Junco takes a break on the snow-covered bench outside the visitor’s center. 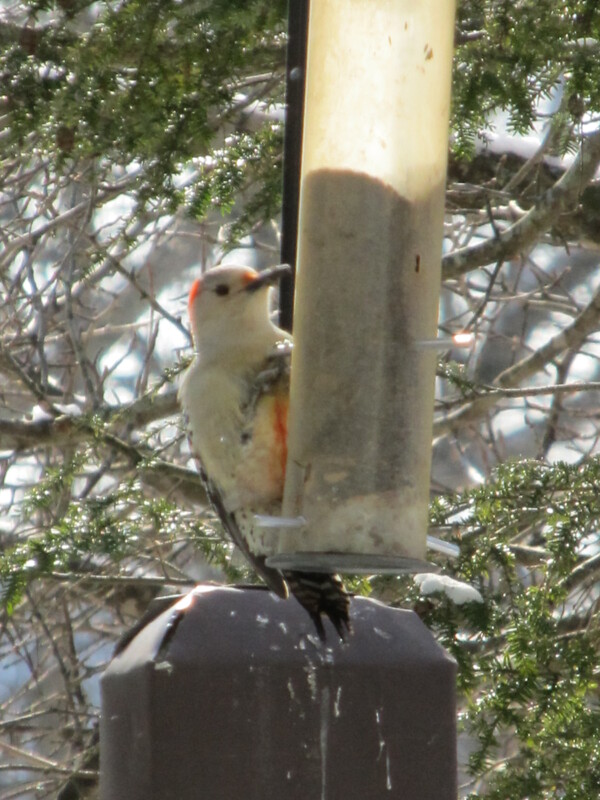 A Red-Bellied Woodpecker clings to the smallest feeder, scaring the smaller birds away. Riverbend truly has a view to remember. Brave the snow and come visit your own backyard winter wonderland. 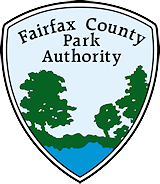 This entry was posted in Uncategorized and tagged Black-Eyed Junco, Carolina Chickadee, Great Falls, nature, Northern Cardinal, outdoors, Potomac River, Red-Bellied Woodpecker, Riverbend Park, Tufted Titmouse, Winter Landscape, winter wonderland on January 24, 2013 by Fairfax County Park Authority.